Note. The path to the correct setting may vary depending on what version of the program you have. Open the program by clicking in the upper part of the Windows task panel. Go to Settings. If it is password-protected, then enter your password in the window that opens and click Continue. Go to Advanced → Network. 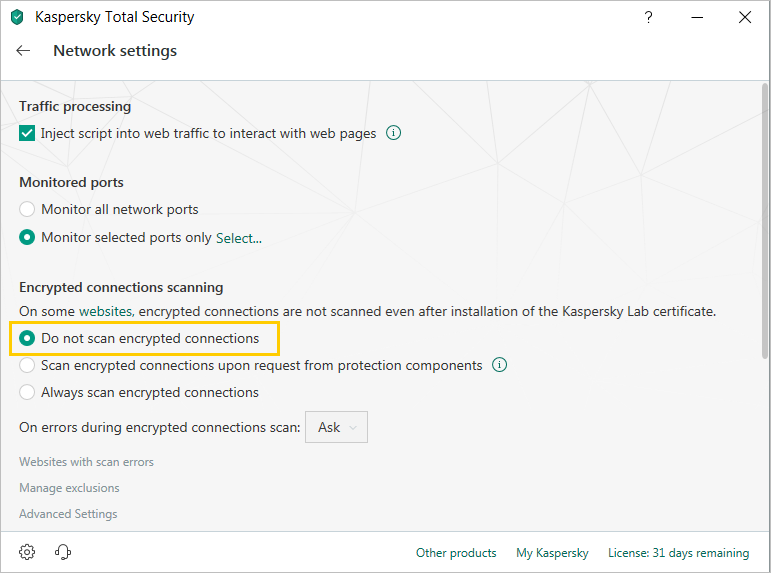 In the Encrypted connections scanning section, switch on the Do not scan encrypted connections option. Go to Main → Networks. 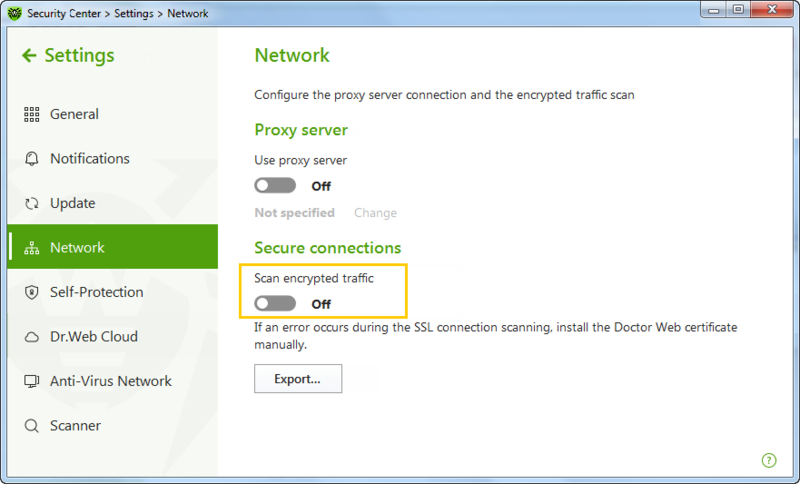 Set the Scan encrypted traffic option to Off. Go to Secure internet → Advanced parameters. 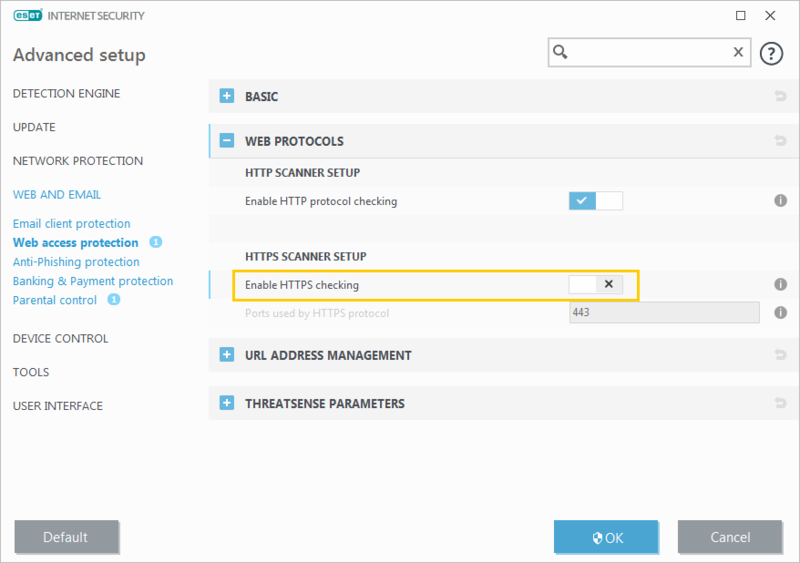 Disable HTTPS tests (under the Enable HTTPS protocol tests option). Note. The path to the correct setting may vary depending on what version of the program you have. 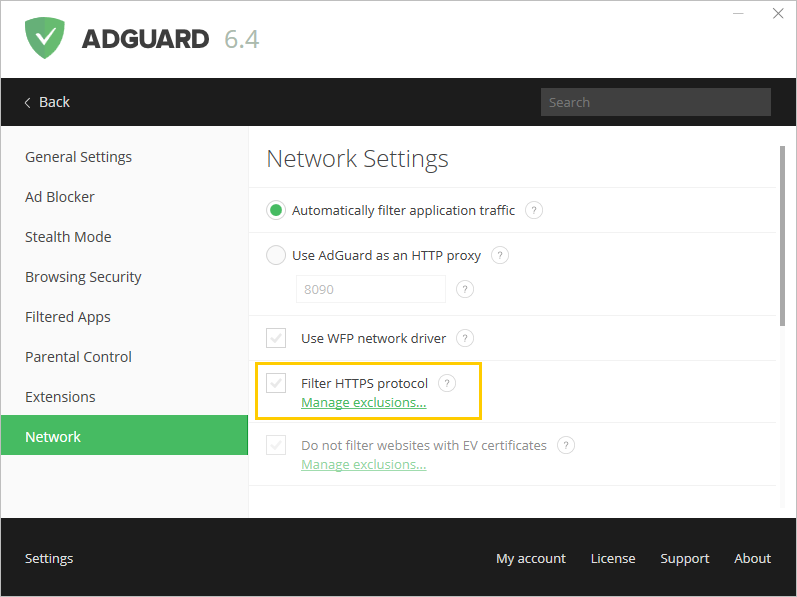 For AdGuard extensions, you don't need to disable anything because extensions don’t create their own certificates. Disable the Filter HTTPS protocol option.